Although no release date has been announced yet, Chris Paul’s sixth signature shoe with Jordan Brand has been making waves recently and is set to make more as JB unveiled an impressive colorway of the shoe. 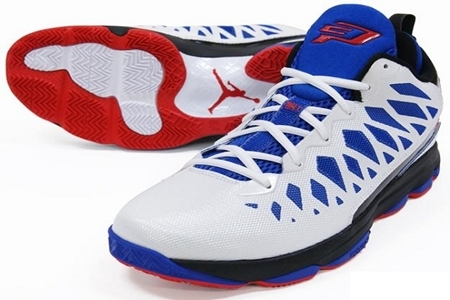 The Jordan CP3.VI, which boast the same features of the CP3.V but with a much-improved traction pattern, will be released in a Clippers Home edition, which features the home colors of Paul’s NBA team, the Los Angeles Clippers. Featuring the Podulon cushioning in the midsole, expect this shoe to make waves once it hit the market.